Spring is bringing with it many opportunities to engage in physical fitness. 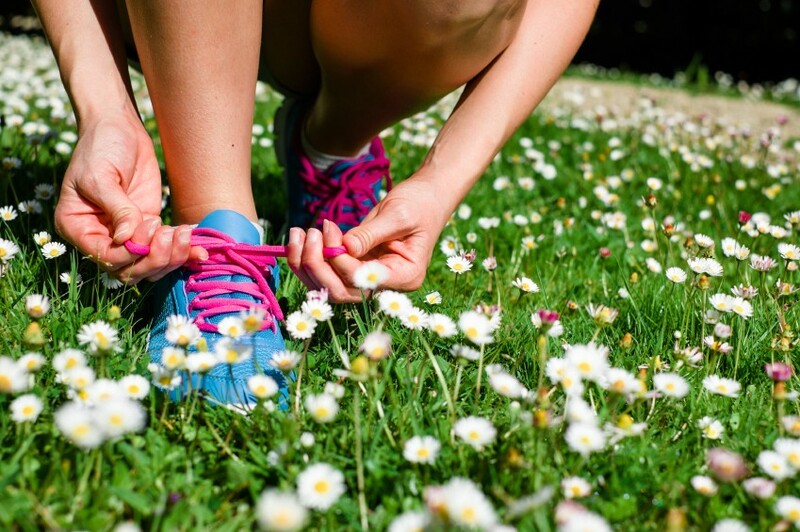 Spring temperatures seem to inspire us all to engage in personal fitness routines from tiny tots to mature adults. This spring the Department of Parks & Recreation will be hosting a variety of programs for all residents at all fitness levels. Tumblin’ Tots is the yoga/zumba/pilates regimen for children ages 18 months old to 2.5 years old. This fun mommy-and-me fitness program is designed to improve motor skills and coordination while having fun and developing social skills. Parents will assist with rhythm activities and ball play including activities such as obstacle courses and parachute games. For the 2.5 to 4-year-old set, play based activities help older children build motor skills and coordination while having fun and developing social skills. Activities will consist of stretching, a cardio warm-up and an obstacle course and more. This is the perfect way to make exercise fun for caregivers and children alike. Girls B Fit is another opportunity for slightly older girls to engage is a fun and physical class complete with games, relays and fitness stations that improve fitness levels, balance, agility and core strength. Participants will create neuromuscular connections that will benefit them for life in all sports and physical activities, while having fun. As we enter the teen years, there are opportunities for young people to engage in physical fitness as a lifestyle, not just an activity. Yoga for Beginners is a healthy option for teens and adults alike to find center and promote healthy living. Yoga offers a balancing of the body and mind while working on conscious breath, balance and body awareness. Yoga for Beginners is a wonderful opportunity for individuals of all fitness levels to participate. Boot Camp is another option for teens and adults alike. Boot Camp offers a full schedule of opportunities from early morning to late day, for individuals of all fitness levels to participate. While Boot Camp may sound intimidating, all instructors offer participants alternatives to exercises to help meet the needs of all attendees. Boot Camp encourages participants to challenge themselves to push to their own best performance. The level of skill and fitness levels vary greatly and from the youngest boot campers (teens) to the oldest boot campers (in their 70’s) the fellowship of the program keeps the program growing. For more information about spring Recreation fitness programs please visit www.moorestownrec.com. Engage in recreation to help build your best you.